Beautiful apartment situated in a historic courtyard just off the Royal Mile, halfway between Edinburgh Castle and Holyrood Palace. 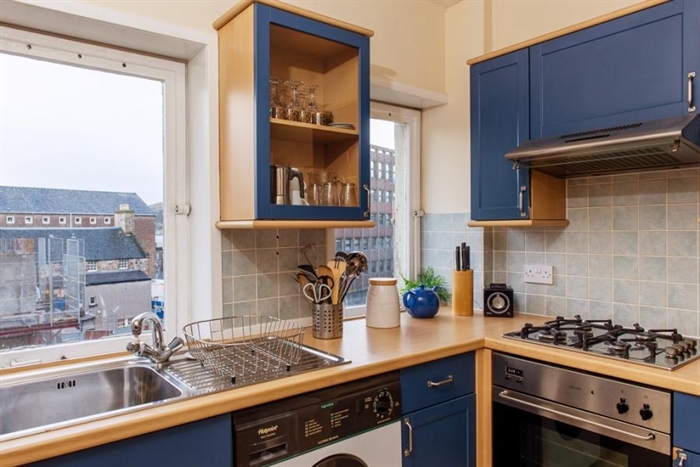 In an ideal location for exploring the city and going to Fringe and Festival events. Free Wi-Fi and five minutes away from Waverley train station. Royal Mile 1 is situated in the picturesque Chessels Court in Edinburgh’s Old Town. 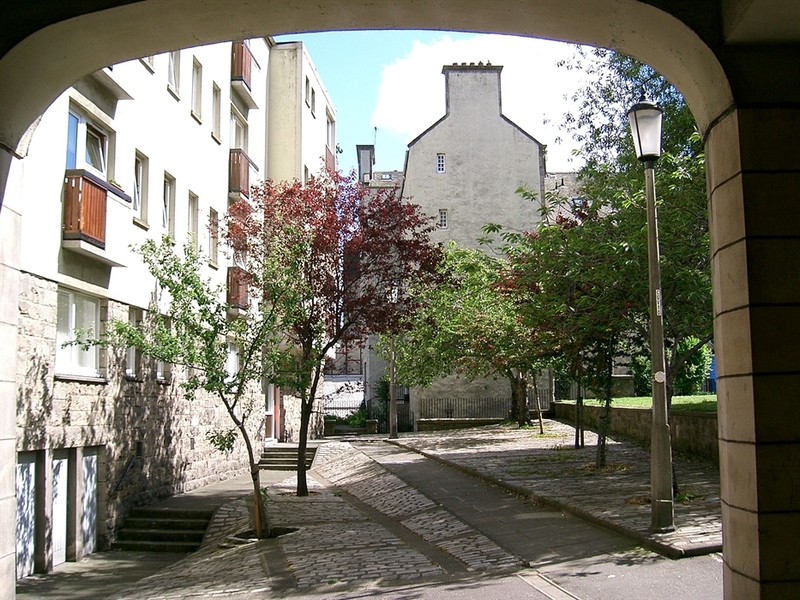 Chessels Court is an historic courtyard with a green and surrounded by trees. No traffic passes through the courtyard and so it is a haven in the summer after the hustle and bustle of the Fringe. The apartment is in a great location for exploring the city whether you're here for days or weeks, as there is so much to see and do minutes from the doorstep. Edinburgh Castle, St Giles’ Cathedral and Holyrood Palace are but three of the attractions you can reach via the adjacent Royal Mile. Several of the University of Edinburgh’s buildings are also nearby. The area has lots of excellent cafes, restaurants, bistros and bars, small specialist shops and grocers. Many of the city’s main attractions are within easy walking distance, but if you don't want to walk everywhere the open-top tour buses stop just outside the courtyard on the Royal Mile. Waverley Station is five minutes’ walk away; the Airlink bus service also terminates here, making it easy to get to and from the apartment and the airport. Royal Mile 1 is a wonderful place to stay and enjoy the city. 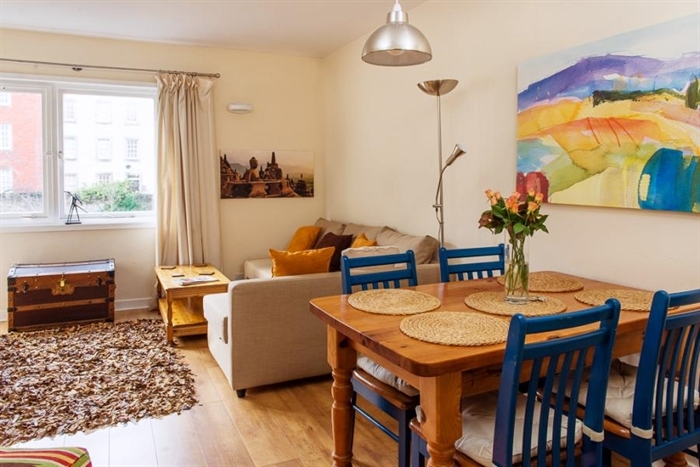 This luxury self-catering apartment is ideal accommodation for Edinburgh's festivals and Hogmanay or Christmas breaks in the capital, as well as for university events such as graduations. Please note - the building work on the site behind the apartment was completed at the end of July 2016.